Author :Christopher de Bellaigue has worked as a journalist in south Asia and the Middle East, writing for the Economist, the Guardian, and the New York Review of Books. 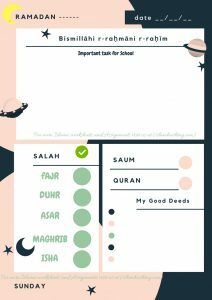 He is the award-winning author of four books, has made several BBC television and radio documentaries, and has been a visiting fellow at the universities of Harvard and Oxford. He lives in London. A revelatory and game-changing narrative of the political and social reformations that transformed the lands of Islam in the nineteenth and early twentieth centuries. 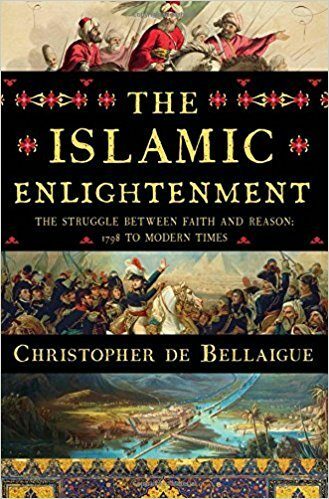 Story :With majestic prose, Christopher de Bellaigue presents an absorbing account of the political and social reformations that transformed the lands of Islam in the nineteenth and early twentieth centuries. Flying in the face of everything we thought we knew, The Islamic Enlightenment becomes an astonishing and revelatory history that offers a game-changing assessment of the Middle East since the Napoleonic Wars. Add to this a strong Shia sense of resistance to injustice, articulated by the sociologist Ali Shariati, and you have the wellsprings of Ayatollah Khomeini’s revolution in 1979. Meanwhile, Qutb’s ideas were steeled by the concept of takfir, which held that a state or individual could be declared apostate and deserving of death. This disputed theory was adopted by al-Jihad, the group responsible for the assassination of President Sadat in 1981, and, more recently, by Isis. In charting the emergence of an alternative Muslim approach to the world, he summons up intriguing characters such the canny Iranian born Jamal al-Din Afghani, who travelled the world developing a spirit of pan-Islamism. Out of Egypt came Hassan al-Banna, founder of the Muslim Brotherhood, and the Conan Doyle-loving Sayyid Qutb, whose studies in innocuous sounding Greeley, Colorado, left him frothing about American permissiveness while developing incisive ideas about the lack of spirituality at the heart of western civilisation. In Iran a different spin came from Jalal Al-e-Ahmad, a former communist whose 1962 book Gharbzadegi (variously translated as Westoxication, Westernstruck and Occidentosis) has, de Bellaigue says, taken its place with Qutb’s Milestones and Frantz Fanon’s The Wretched of the Earth as one of the three most influential anti-western political tracts. Al-e-Ahmad argued that the West’s cult of the machine had undermined traditional village-based Quranic values. De Bellaigue is happy to describe this as Counter-Enlightenment. But he is convinced there is a parallel story, and developments such as the moderate Hassan Rouhani becoming President of Iran show an underlying respect for democracy and the individual. He skilfully conveys the curious game – part confrontation, part balancing act — which has been played out between western dominion and Islamic Renaissance. While generally critical of the former, he has written a sweeping and hugely engaging book that throws much-needed light on modern Islam.